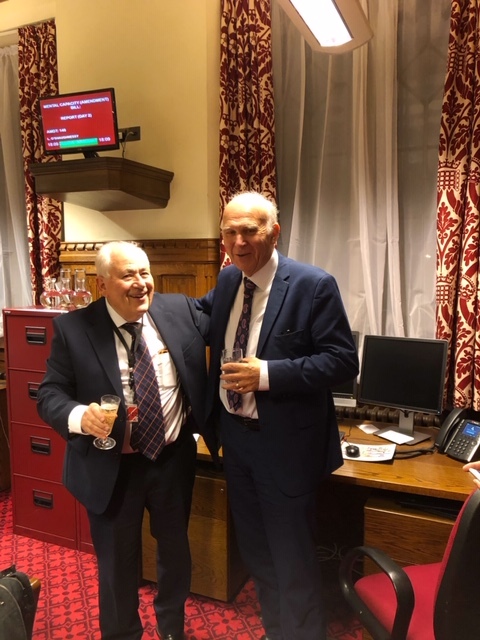 It’s not every day you have the leader of the Liberal Democrats pop into your office and share a drink, but that’s what happened to Lord Monroe Palmer this week, as the popular peer turned 80 years of age. 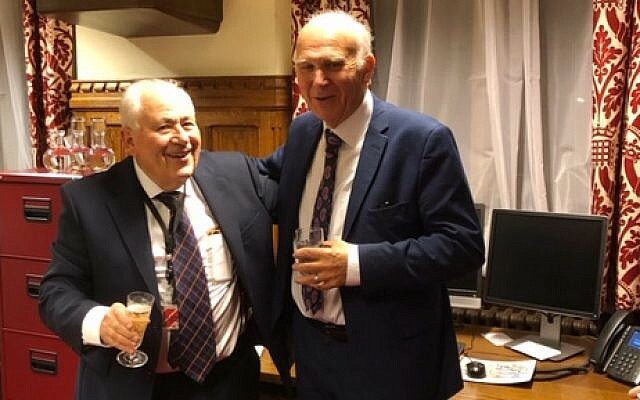 Sir Vince Cable, no spring chicken himself at 75, called in on the Lords to see his friend and wish him a happy birthday, with neither showing signs of slowing down. 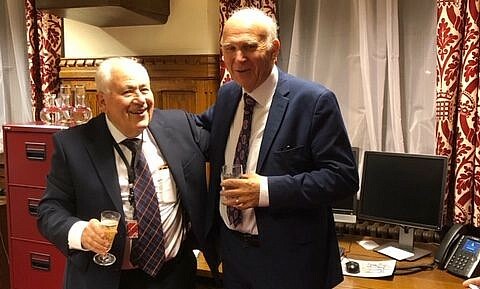 While Cable has been voicing the wishes of the 48 percent on Brexit, Palmer was busy hosting a lunch for Lib Dem parliamentarians with the Jewish Leadership Council, of which he is a vice-president. 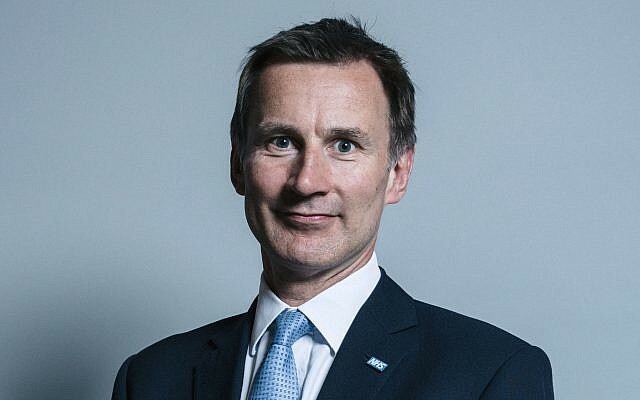 Palmer, a former chairman of Liberal Democrat Friends of Israel, is Cable’s current Middle East adviser and a regular speaker on foreign affairs in the upper chamber.